The Orbi-Blotter™ features a gentle orbital motion with speed control down to as little as 3 rpm, making it the ideal orbital choice for low speed applications, such as blotting, washing, staining/destaining, etc. A large 14×12 in. work surface is included along with a non-slip rubber mat for holding trays, dishes, plates and other flat vessels. 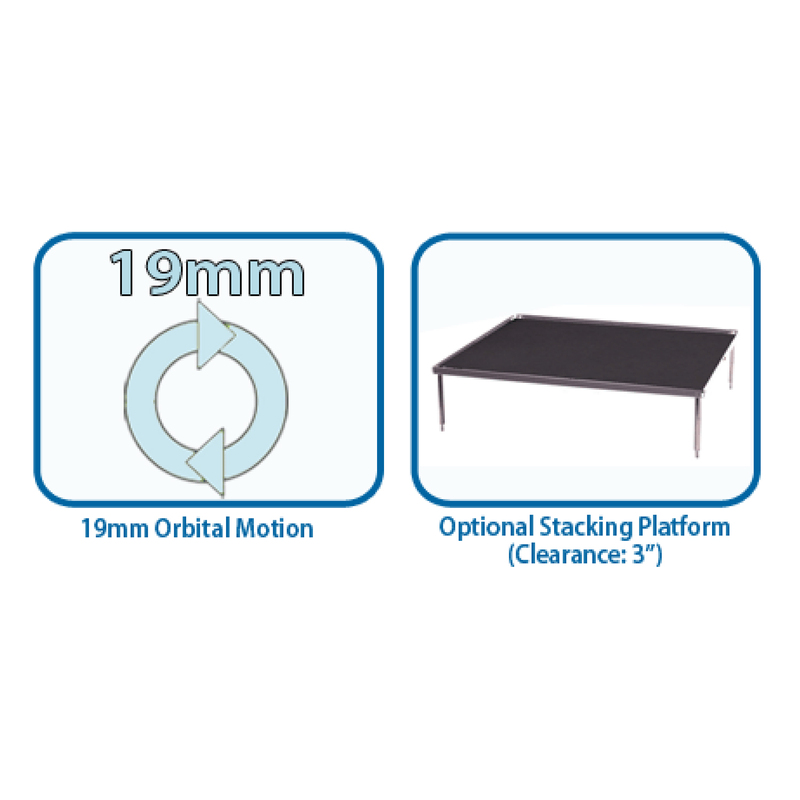 An optional stacking platform can be purchased as an accessory, effectively doubling the usable work surface. The maintenance free, brushless motor is capable of loads up to 2kg and is safe for use in cold rooms and incubators.